To free you from administrative constraints. To take your business to the top. To help you keep things simple, while improving productivity. All the tools you need to sell your activities and services online. Promote your products online : on your own website as well as dozens of marketplaces and thousands of other sites. Facilitate the management of your planning and administration. With YoSchool, sports tuition providers can manage all their activities. 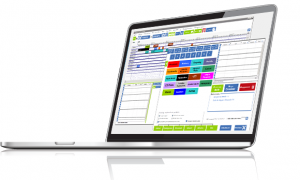 Ski schools, paragliding schools, surf schools… They can all access their client files, invoicing systems, accountancy, human resources management and schedules on one, single interface. This software package offers numerous functions and detailed activity control panels. It also provides a link to online sales and the resale of activities by partners and purchasing agents. For freelance sports professionals, there is also a simplified version available. Vakario offers turnkey solutions, institutional websites and online boutiques adapted specially for sporting activity providers. These high quality, tailored websites offer simple and practical publication features (products, categories, information pages etc), modern design and forward-thinking ergonomics. Used with the YoSchool management software, they provide a complete online sales solution for sporting services, including reservation systems, online payments and automatic stock management. With our personalised “widgets”, a reservation and online sales solution can easily be integrated into sporting organisations’ existing websites. Cross sales with partners become possible as a result, while purchasing agents can input their reservations and manage payments. Organisations can also relay their activities to thousands of partner websites and increase their sales: giving internet users all over the world access to their products via marketplaces, travel agents and purchasing agencies.. It has never been easier to sell across multiple channels ! Via YoMarket marketplace, organisations, businesses and websites can access an enormous catalogue of sporting activities to be sold separately or as part of a package. A webmaster offers added value, while users can also receive extra revenue due to commission sharing arrangements with sporting activity providers. Thanks to the widget and API proposed by Vakario, all these users can propose a range of sporting activities, take reservations and receive payments via their own websites. The activity provider is informed immediately about each new reservation. And the webmaster has real-time information about availability and stock levels. The API offers so many ways to communicate with the YoMarket database: the only boundary is your imagination ! Hosted on high-performance infrastructures, capable of adjusting their capacities in real time, all our solutions are available in full force when you need them. Our experience in the sporting world allows us to offer tools that can help you to save your valuable time while making significant monetary savings across your business. Our high security databases are the perfect place to file and protect your confidential data: you risk nothing if your IT systems go down. Quotes, invoices, client files, accounts… Your data is in a safe place that you can access from any work station. We think ergonomically when creating our solutions – because simplicity and high functionality are complementary. Thanks to the remote SaaS system, you can access the tools and data you need to manage your business whenever and wherever you want – including from a tablet computer or smartphone. All our solutions are regularly updated and evolve in line with our users’ needs. They use the latest technological, design and ergonomic advances. New solutions are also continuously integrated into the system to respond to our clients’ needs and allow them to continue to benefit from great business advantages. We realise that integrating IT solutions is never a simple decision, so we offer all the help and support you require. Training, written instructions, helpful videos and 24-hour support are available to make your life easier and allow you to concentrate on running your business. A new generation software editor founded at the end of the 2000s, Vakario is an outdoor sports market specialist that can adapt its products and services to suit the exact needs of each segment of this market. Vakario’s aim is to give structure to the outdoor sports market both nationally and internationally – by computerising management procedures, innovating commercial resources and creating links between all the relevant players. We put individual users at the centre of all our creative processes… We love meeting new people, sharing ideas and listening to enthusiasts. We strongly believe that IT and industry work better when approached with simplicity rather than complexity, so we always try to make our solutions as simple, ergonomic and user-friendly as possible. A business that does not understand their clients’ jobs, interests and specific needs cannot produce relevant products. That’s why we only recruit enthusiastic sportspeople with experience of working in the sporting world. In difficulties and problems, we see opportunities. So we love hearing from our clients about the specific needs of their businesses. That’s why our products fit our clients’ needs so well, because they were created to fulfil them. 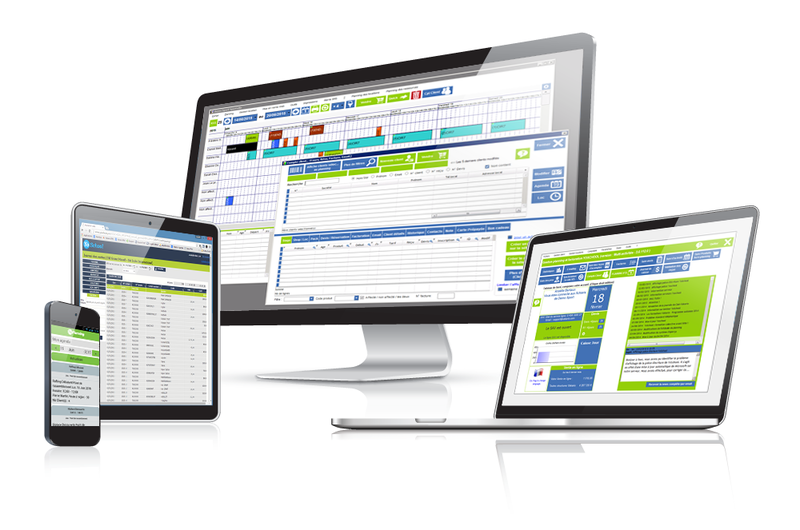 Annual revenues managed for clients using our management and online sales solutions.